Songs of Eretz Poetry Review is pleased to present “Katherine” by James Frederick William Rowe, Poet of the Week. A biography of Mr. Rowe may be found here: http://eretzsongs.blogspot.com/2015/02/poet-of-week-james-frederick-william.html. Poet’s Notes: I wrote this poem in about a three-minute moment of nostalgia. Katherine is about Katherine O'Connor, the first friend that I made when I went to kindergarten at St. Gregory's in Loudonville, New York. 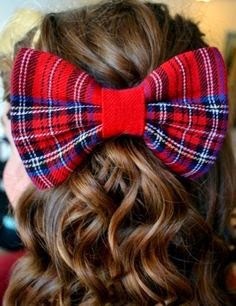 I could not remember her name at first, so I called her Ribbons, because she always wore tartan-striped ribbons in her hair. She also wore leg braces. I never found out why, but I assume she had some problem with her legs or back that required it. In spite of this, I remember a time when we were out in the field for gym class, and the gym teacher had her start us off in a race around the soccer field. He gave her a long head start, and, in spite of her braces, she ran dauntlessly forward. I haven't seen her since kindergarten, although I think she was on the primetime Price Is Right a few years ago when Bob Barker was still hosting. Editor’s Note: I am reminded of something out of William Carlos William's Imagist period as I read this little gem.